This is the batch of nail polish that I mentioned before that I have purchased last month with consideration that they are pregnant safe. 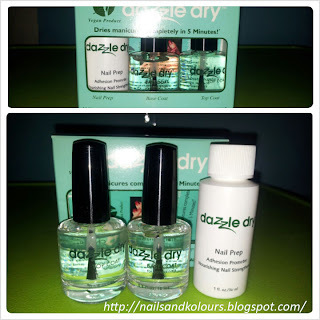 "Dazzle Dry is the only Vegan, Nail Strengthening, Non Toxic, Non Yellowing, Hypoallergenic Nail Polish system that DRIES ROCK HARD in 5 Minutes and is SAFE for pregnant women & children." Dazzle Dry is free of harmful chemicals such as Toluene, DBP, Camphor, Formaldehyde and is the first and only polish that is free of Nitrocellulose. I really wanted them in my haul so, I ordered them online. I was planning to get the colored lacquers only but according to them, the polish will work better with the Trinity Kit. I don't want to waste my money on nail polish that will chip easily so I did got the Trinity Kit as well. The Trinity Kit 3-Piece Nail System consist of a Nail Prep, Base Coat and the Top Coat. I'll make another post when I finally got to try them. For the colored polish I got myself Sahara (yellow), At First blush (white), Forget Me Not (blue shade), Casablanca (also of blue shade), Forbidden Passion (brown) and the Morning Dew (of green shade). I so want to try them on my nails because I have invested a lot on this set but I have to hold back. Hubby agreed to pay my orders at the bank with condition that I will not use them until next year. I agreed because I already did my orders and I don't want to cancel it. Anyway these Dazzle Dry pretties can wait for 6 months more. So friends wait until I got to try them and hopefully create pretty nail arts too..
Oh, this looks good. Would want to try them! I can't wait to see your next creation and perhaps see the number of nail polishes you have too! Just don't open na lang siguro para di manigas or expire. Anyway, ano amoy nya sis? Di ba un usual na nail polish parang nakakaaddict ang amoy because of the toluene? Uy this seems nice ha! How much are they? This is what I've been waiting for. I was really curious when I read your previous post. :) I wonder if I can find that brand in here. Like the colors! How much are those? I wonder if they are expensive? And what do you use to remove them? 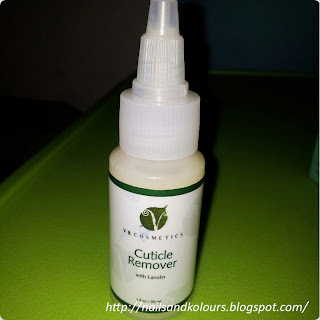 Acetone ba? First time to hear about these products. I have the same question as Cym, are they expensive? 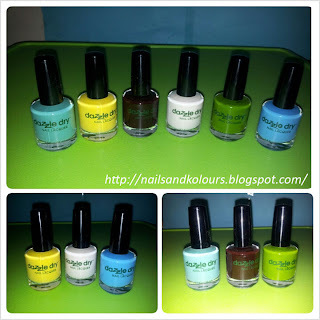 nice choice of color, could not wait for your next nail art.. by the way are how much it cost you for this haul? haha. i really can't relate basta nail polish. but it's nice that there are brands being developed that are environment-friendly. very, very helpful for those who are conscious about safety stuff. Wow! That's a great addition to your collection sis. this is the first time I heard about nail polish that are safe during pregnancy. 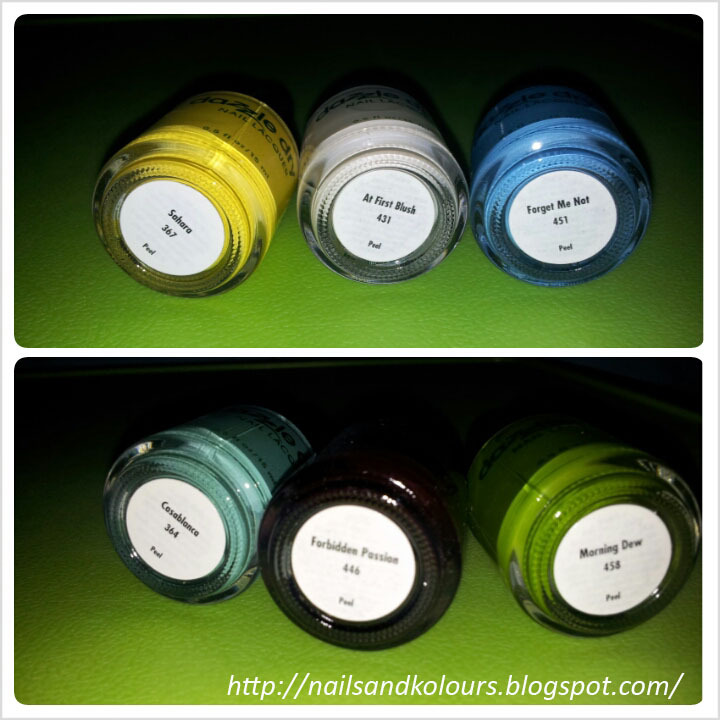 I think these are also safe to those having complications with the toxic chemicals in regular nail polish.